Meet Jess. 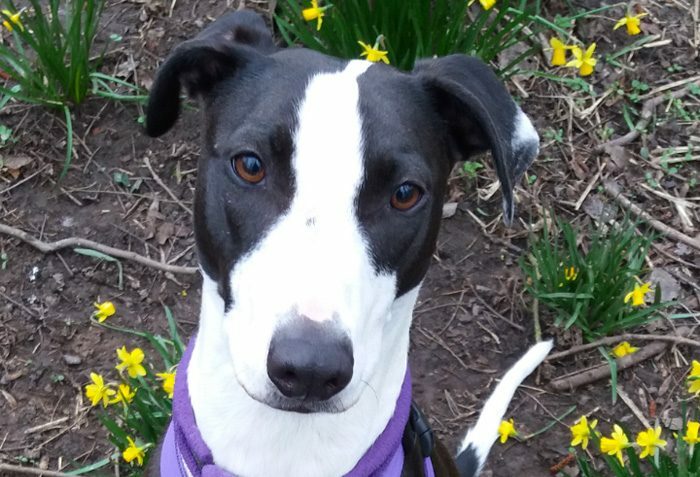 She's a three year old Lurcher and has been in rescue kennels for two years. Yes, that's right. She's been in rescue kennels for over 700 days. We really don't know, and neither does her rescue. She arrived into care as a stray after being abandoned. She was scared and fearful but has come a long way in her time in rescue. Her carers at Leicester Animal Aid tell us "She is comfortable around certain dogs but certainly chooses the company she keeps. She loves her independence and as such would probably prefer to be the only pet in her new home, this way she can be spoilt rotten!" As a stray, her rescue doesn't know her history, but after spending two years with them they've given her a special date so they can celebrate her. She just spent her 2nd birthday in rescue and we were invited to her party alongside two of her special canine guests, her 'boyfriend' Maxwell and a surprise guest arrived; Lexi, who is an old friend. Here's how her party went down. Jess, or Jessica Rabbit as she was once known, will make someone a wonderful companion. If she could be the dog for you, please visit www.dogsblog.com where you can read more and contact Leicester Animal Aid direct. Bring joy, adopt a dog.